While it is a matter of food packaging, utmost level of sanitation decides the quality of the food and therefore it is indispensable to make the all equipment sanitized, which contacts to the food, among the conveyor belt is principal that remains constantly contacted during the food packaging and hence is cardinal to select the conveyor belt for packaging that can promise safety of the food or drink that undergoes packaging. With a motive to fulfill the ever growing demand of food grade conveyor belt, we are here with the wide ranging of the FDA approved conveyor belt that meets all the regulation outlined by the food and drug association for the food packaging industries. This conveyor belt for food packaging is an outcome of our quality controlled manufacturing under the strict watch of the quality analyst team, combined with the severe testing against fundamental parameters to ensure its non toxic and food safety and thereby is the hot seller of our product range, available at the best rates in the market. In this conveyor belt for food packaging, material of construction (PVC/PU) plays a major role due to its unmatched attributes, including non porous, easy surface release, oil/fact resistance, chemical resistance, water resistance, abrasion resistance as well as cut resistance, making it ideal for any type of the food application, ranging from packaging to the cutting, slicing, backing, processing, washing and much more. 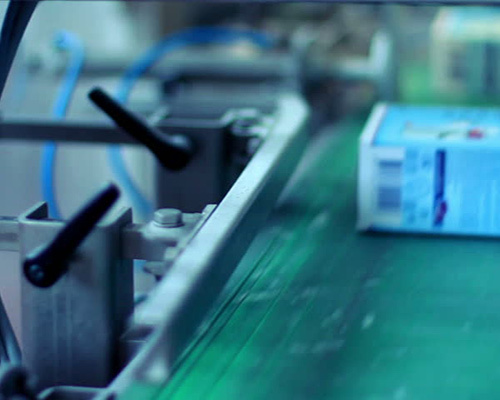 We are savvy in our domain to deliver superlative solution for any type of food packaging need, so if you are in the quest of the one, simply contact us today; we are here to cope with the specific food safety requirements abreast deliver efficient and cost effective solution for food packaging. The wide gamut of our food packaging conveyor belt covers all types of conveyor designs, be it flat, inclined of perpendicular, we have everything from cleat, sidewall, bucket, to high profile conveyors or can design and develop one for you and ensure the effective output through at the best rates.